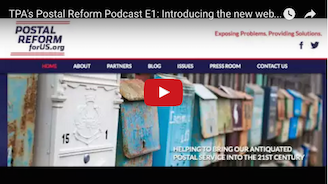 TPA's Postal Reform Podcast E1: Introducing the new website! 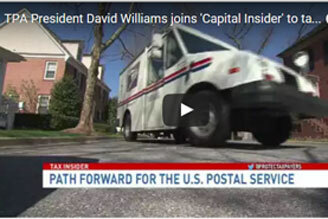 TPA President David Williams joins Capital Insider to talk U.S. Postal Service reforms! 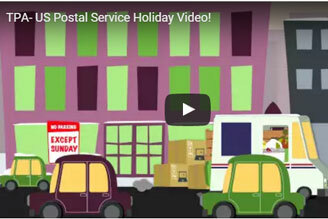 US Postal Service Holiday Video! This article originally appeared in the Daily Caller on May 3, 2018. Through years of mismanagement and misguided priorities, the U.S. Postal Service (USPS) has dug itself into a deep financial hole. After posting yet another loss of $540 million for the first quarter of the year and enduring net losses for 11 straight years, USPS officials and lawmakers alike are eager to stem the bleeding. On March 22, Sens. Jerry Moran (R-Kan.), Tom Carper (D-Del. ), Heidi Heitkamp (D-N.D.), and Claire McCaskill (D-Mo.) introduced a postal reform bill that would make a number of significant changes to USPS operations and liabilities. While some reforms are promising, the heft of the legislation would open the door to further taxpayer subsidization of USPS mismanagement. Cancelling outstanding debt payments and transferring health-related retirement liabilities to Medicare would only set the stage for further taxpayer abuse. The United States Postal Service is deep in the red, with a dwindling list of options available to stop the bleeding. USPS officials and Congress have continually neglected to employ sound financial management, which has resulted in $15 billion in debt and more than $100 billion in unfunded liabilities for the Postal Service. Despite inept leadership, anyone bringing attention to these issues is bound to be repeatedly attacked as a corporate shill trying to harm the USPS. The U.S. Postal Service (USPS) is as determined as ever to make customers pay more as they defend ludicrous schemes keeping the agency deep in debt. The cost of First-Class postage is slated to increase from 49 to 50 cents on January 21 as part of a desperate move by postal officials to stem the financial bleeding. As the Taxpayers Protection Alliance (TPA) has previously documented, increases in postage rates promote risky behaviors with non-postal business ventures and shore up liabilities in a massively-underfunded pension system buoyed by unrealistic promises. But, the biggest and ugliest secret lies below the surface in the rampant postal cronyism that disproportionately benefits e-commerce giants such as Amazon. In April, a Citigroup analysis found that Amazon gets roughly$1.50 in shipping subsidies from every package delivered via the Postal Service. 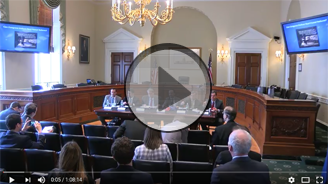 TPA hosted a hill briefing on Postal Reform, featuring Justin Sykes with Americans for Tax Reform; David Williams with the Taxpayers Protection Alliance; Kevin Kosar with the R Street Institute; Steve Pociask with the American Consumer Institute; and George Landrith with Frontiers of Freedom. In our latest Postal Reform podcast, TPA President David Williams discusses new legislation introduced in the House aimed at "reforming" the troubled USPS. We also touch on not just TPA's concerns, but the concerns of our coalition partners as well. In our second Postal Reform podcast, TPA President David Williams discusses a new survey done by the USPS looking at employee morale... and the results are troubling. Also, a brief update on a recent Senate hearing focused on drug trafficking via the USPS. 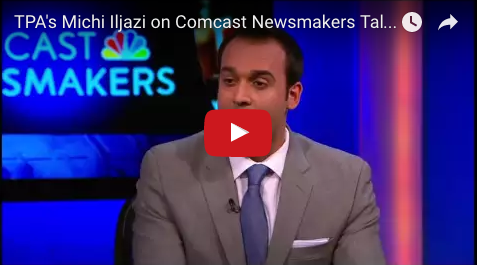 Watch TPA's Michi Iljazi talk with Comcast Newsmakers about how to reform the United States Postal Service. Listen to TPA President David Williams discuss the new USPS Reform partner website (www.postalreformforus.org) and why reforming the post office is critical! TPA President David Williams joins 'Capital Insider' to talk U.S. Postal Service reforms! Watch TPA President David Williams as he joins WJLA's 'Capital Insider' to discuss much needed and long overdue reforms that the U.S. Postal Service should move on in the coming year. 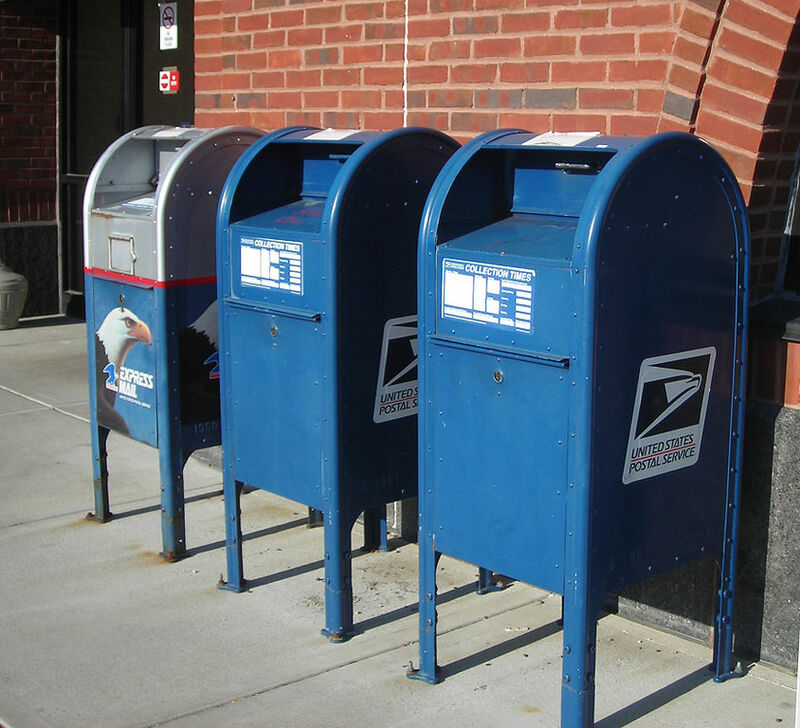 Taxpayers Protection Alliance wants the USPS to remain focused on their stated mission of ensuring mail is delivered and to stay away from new initiatives that infringe on the free market and will cost taxpayers!